Can I Compost Shredded paper? | Can I Compost This? 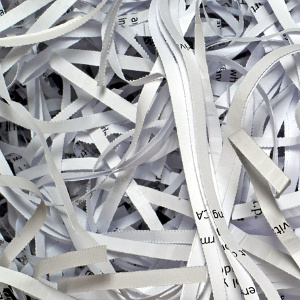 Yes, you can compost shredded paper – as long as it isn’t too shiny. Stir it into the heap so it doesn’t get blown around the garden and also to help it rot down quicker in the warmer, wetter middle of the heap. Shredding paper that has been used for bedding for small pets (such as rabbits) can be composted too, as long as the animals are vegetarian (faeces from meat-eating animals can harbour dangerous microbes that aren’t broken down by the composting process). Shiny paper though may be that way because of a foil or plastic coating – shiny shredded paper is sometimes used as pretty, protective packaging) but it’s best to leave it out of the compost heap. Thank you very much for this information on shredder paper for composting.